On July 4 2015 legendary English actress Margaret Lockwood was honoured with a blue plaque from the Heritage Foundation at the home where she lived the last years of her life in Kingston upon Thames. Tuesday, July 15 2015, marked the 25th anniversary of Miss Lockwood's death at age 73. Next year will see the 100th anniversary of Margaret Lockwood's birth on September 15 1916. She was the top actress in the United Kingdom in the Forties and starred in such films as Bank Holiday (1938), The Lady Vanishes (1938), Night Train to Munich (1940), and The Wicked Lady (1945). She still has a fanatically loyal following in the United Kingdom, the Untied States, and elsewhere. It should come as no surprise that she is receiving so much attention of late. 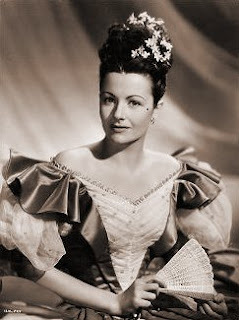 My friend, author Lyndsy Spence, had the honour of writing a post on Margaret Lockwood, her fabulous career, and the installation of the blue plaque at her former home in Kingston Upon Thames. You can read it here. 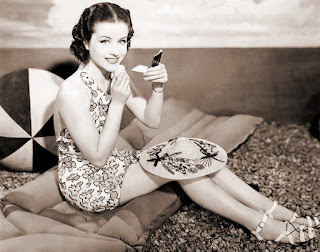 If you are a fan of Margaret Lockwood you will definitely want to read this well written piece. And if you are not already a fan of Miss Lockwood, Miss Spence's blog post is a good opportunity to learn about one of the greatest English actresses of the mid-20th Century. Happy 10th Blog Anniversary to Laura of Laura's Miscellaneous Musings! It was today on July 16 2005 that Laura started her blog Laura's Miscellaneous Musings. Given most blogs don't last beyond one post, this is quite an achievement! 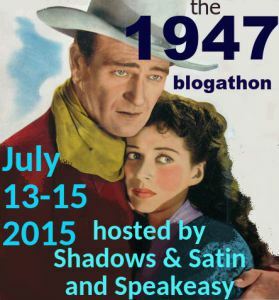 Indeed, I can only name a few other blogs older than Laura's Miscellaneous Musings. As someone who has also been blogging for a long time, I then want to congratulate Laura on reaching the 10 year mark! You can read her post on her anniversary here. 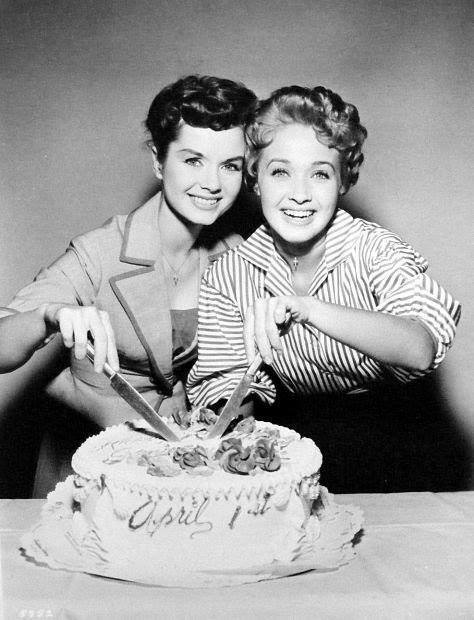 BTW, the two lovely ladies in the picture above are Debbie Reynolds and Jane Powell. It is often the case that movie studios become associated with a particular genre of film. Although they would go onto produce films in many other genres, Warner Bros. is still associated with the gangster film to this day. While both studios produced films in many other genres, Universal Pictures and Hammer Films will probably always be associated with horror movies. To this day when many people think of MGM, lavish Hollywood musicals come to their minds. In the case of the British film studio Gainsborough Pictures, they will always be associated with what has become known as "the Gainsborough melodramas". For the most part the Gainsborough melodramas were costume dramas, period pieces that could quite rightly be described as bodice rippers. At times they pushed the boundaries of what was acceptable in movies in the Forties, particularly where the overly conservative MPAA Production Code Administration in the United States was concerned. Regardless, the Gainsborough melodramas were immensely successful. Indeed, when adjusted for inflation The Wicked Lady still ranks among the highest grossing films of all time in the United Kingdom. Starting with The Man in Grey in 1943, Gainsborough would see a good deal of success with such films as Madonna of the Seven Moons (1944) and Fanny by Gaslight (1944). Margaret Lockwood was already something of a star before appearing in the Gainsborough melodramas, having appeared in such films as Bank Holiday (1938), The Lady Vanishes (1938), and Night Train to Munich (1940), but the films she made at Gainsborough would make her Britain's most popular actress in the Forties. Other actors featured in the films, such as James Mason, Stewart Granger, Jean Kent, and Patricia Roc, would become stars in the wake of their popularity. Unfortunately after World War II the days of the Gainsborough melodramas were numbered. Films such as Caravan (1946) and The Magic Bow (1946) did not perform nearly as well as their predecessors at the box office. The end of the Gainsborough melodrama was certain when the Rank Organisation hired Sydney Box to run Gainsborough. Sydney Box and his wife Muriel did not particularly like the Gainsborough melodramas and preferred realism in films. The two of them made a decision to take Gainsborough in a different direction, that of a broader array of movies that were much more realistic than the bodice rippers of the past several years. Before Sydney Box could take Gainsborough in a new direction, however, he would produce one last melodrama at the studio. His predecessor at Gainsborough, Maurice Ostrer, had left him with very little in the way of completed scripts. To keep the studio in operation, then, Mr. 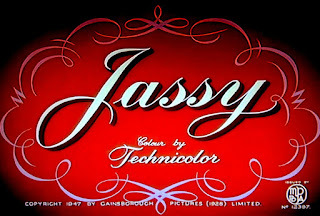 Box went ahead with what would be the final, official Gainsborough melodrama: Jassy (1947). Despite his dislike for the genre, Sydney Box decided to try to make Jassy the most lavish melodrama yet. It was shot in glorious Technicolor and boasted a bigger budget than the earlier films. Indeed, art director Maurice Carter noted that he was given a bigger budget for sets than he ever had been before. 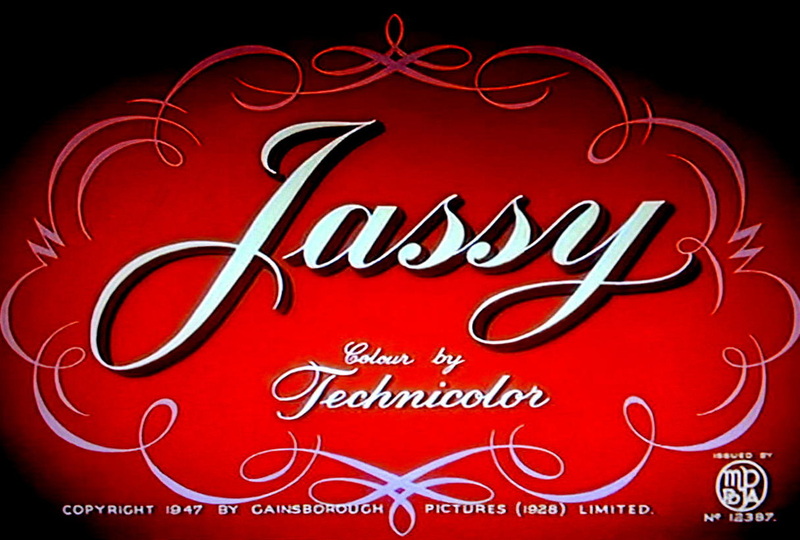 While Jassy was shot in colour and had a bigger budget than previous Gainsborough melodramas, in many respects it is a much weaker film than its predecessors. Jassy was set in the 1830s in the fictional community of Mummerset, England. It centred on the character of the title, a half-Romany woman with second sight played by Margaret Lockwood. Like Margaret Lockwood's characters in some of her earlier films, Jassy rose from a common background to a higher station in society. Unlike Margaret Lockwood's previous characters in the Gainsborough melodramas, however, Jassy is hardly evil. She is a far cry from such wicked schemers as Hester in The Man in Grey or Lady Barbara in The Wicked Lady. Indeed, if there is a villain in Jassy it is Dilys, played by Patricia Roc, best known for playing the "good girls" in the Gainsborough bodice rippers. It is Dilys who more resembles the sort of roles Margaret Lockwood had previously played. Despite the fact that the roles Margaret Lockwood and Patricia Roc play are reversed from what they had been in previous Gainsborough melodramas, Jassy is still in many respects a pale shadow when compared to the earlier films. Jassy is one of the weakest and least interesting characters in any of the Gainsborough melodramas. Indeed, she is wholly unassertive, remaining passive even as the worst things are done to her. The character may also be somewhat disturbing to many modern viewers, given the character largely draws upon stereotypes about "gypsies". The shortcomings of the character of Jassy might be more acceptable if not for the fact that the film's plot is at times far-fetched even for a Gainsborough melodrama. Indeed, the climax of the film is wholly unbelievable. For all its weaknesses, however, Jassy is still a film very much worth watching. While Jassy is not a particularly interesting character, it is still fun seeing Margaret Lockwood play essentially a "good girl" and Patricia Roc play the villain. Indeed, Miss Roc is quite impressive as Dilys, making one wish that she had played "bad girls" more often. Both Basil Sydney and Dennis Price turn in good performances, playing landowners whose recklessness fuels much of the plot. It must also be pointed out that Jassy is also much more lavish than many of its predecessors. It was shot in striking Technicolor, adding a visual dimension to the film that is lacking in some of the earlier Gainsborough melodramas. The film also features some of art director Maurice Carter's best work. The sets in Jassy are most impressive. With a stronger plot and lead character, Jassy could easily have been the best over all production among the Gainsborough melodramas. Jassy was not particularly well received by critics at the time of its release. Critics attacked the weaknesses of the film's plot, as well as the many cliches that had been used many times before in Gainsborough melodramas. The British public was a bit more forgiving towards Jassy. It proved to be a success at the box office, becoming one of the highest grossing film in the United Kingdom in 1947. Sadly, its success did not guarantee there would be more Gainsborough melodramas. Sydney and Muriel Box were not fond of the genre and wanted to move in the direction of realism. As it was they may have been better off sticking with the ever popular bodice rippers. Gainsborough's films began performing more and more poorly at the box office, to the point that the Rank Organisation closed the studio in 1949 and moved most production to Pinewood Studios. Despite this, films would continue to be released under "Gainsborough Pictures" for the next few years. Sadly, in 1951 this even stopped and Gainsborough was no more. As the last official Gainsborough melodrama, Jassy is a must see film for fans of Gainsborough, Margaret Lockwood, and Patricia Roc. While its story is much weaker than such classics as The Man in Grey and The Wicked Lady, it still has much to recommend it. The film features some impressive performances, as well as some striking use of Technicolor. It also features some incredible sets. Despite a weak script, Jassy is indeed a spectacle, a lavish film that it is a delight to the eye.